The Montana House is pleased to co-host another in the series of “Look, Listen & Learn” programs at the Montana House in Apgar Village inside Glacier National Park. 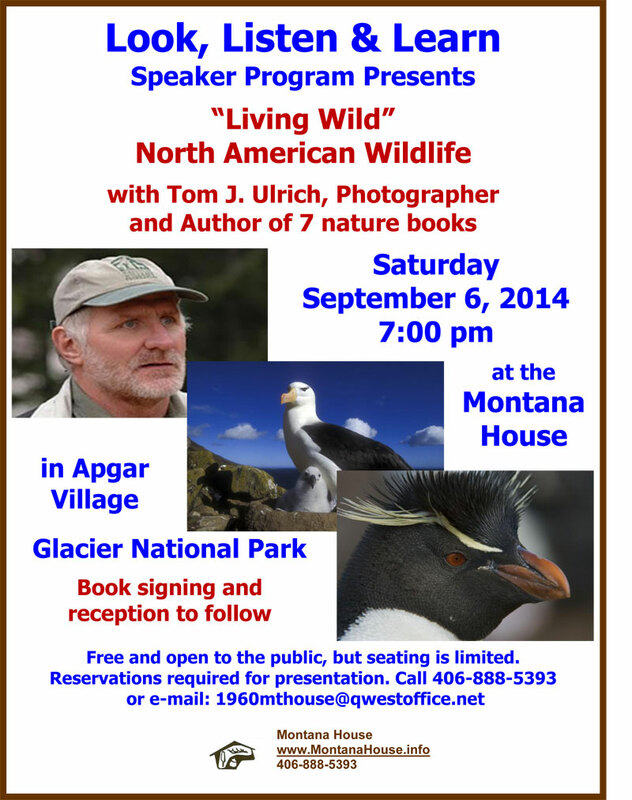 The featured photographer/author from West Glacier, Montana is Tom J. Ulrich with his presentation at 7:00 p.m. Saturday evening September 6, 2014. 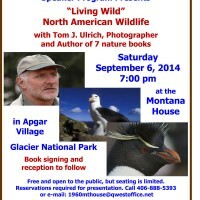 For nearly four decades Tom has crossed the globe capturing wildlife photographically. Thousands of his photos have been published in periodicals familiar to all, from National Geographic, Smithsonian and Ranger Rick to Woman’s World. His presentations have entertained and educated thousands of people at distinguished universities such as John Hopkins, Oklahoma State, University of Illinois, Texas Tech, University of Hawaii and numerous others. Come and enjoy an hour viewing hundreds of images and the story behind them.